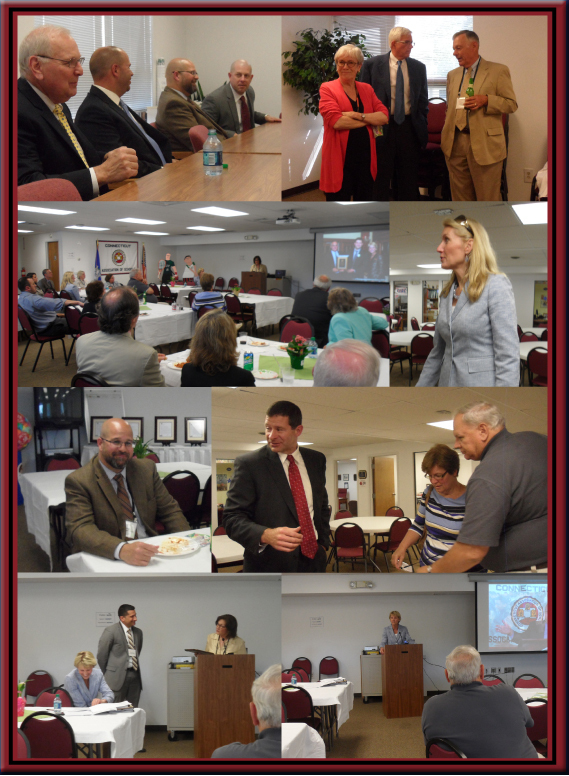 More than forty members attended CAS’ 63rd annual meeting on June 3rd, enjoying a short break from the chaos and craziness that inevitably erupt this time of year. Formerly a business meeting at which we discharged the duties and responsibilities required by our Constitution, this annual event has been transformed into a relaxing, end-of-the-year reception and awards ceremony. The “re-invented” annual meeting carries over some important elements from the past such as the CAS President’s Report and the CAS Executive Director’s Report. In her remarks, CAS President Donna Schilke, principal of Smith Middle School in Glastonbury, described the many ways in which the association has been an invaluable professional resource for its members. “CAS has helped us as administrators to strengthen our leadership skills and strategies; provided camaraderie in sharing our stories as we worked through SBAC, SEED and teacher evaluation, and Common Core standards; allowed us to network so that we have colleagues and mentors we can call on whenever and for whatever we are facing in our schools; and, especially, listened to our input and viewpoints,” said Schilke. In her executive director’s report, Karissa Niehoff identified the dramatic changes that have transpired since she was hired to lead CAS-CIAC five years ago and reflected on the angst and uneasiness that have accompanied those changes. “Anxiety and conflict aren’t all bad, and sometimes it is conflict itself that causes a greater commitment to establishing coherence; coherence within the right professional culture,” said Niehoff. “Perhaps at the end of the year, when levels of energy and expectations are polar opposites, a pause to consider these discomforts in a different way is a healthy thing to do.” Niehoff congratulated the administrators in attendance on their ability to manage the increasing complexity of their role with unshakable fortitude. “The ‘busy-ness’ of our business means that schools are working harder than ever to meet the needs of students, staff and families. Despite the added demands, however, the passion and dedication of educational leaders have arguably never been stronger,” praised Niehoff. Niehoff concluded her remarks with a recap of the highlights of the 2014-15 school year, a year marked by programmatic expansion and continued efforts to strengthen the association’s influence on educational policy and practice. President Schilke also welcomed members who, in the coming school year, will be new to an elected committee or board position. • The Eligibility Review Board welcomes Ted Kelleher from East Windsor High School and Sally Biggs from Hartford Magnet Trinity College Academy. The reception concluded with an awards ceremony honoring members who have made extraordinary and long-term contributions to the association. 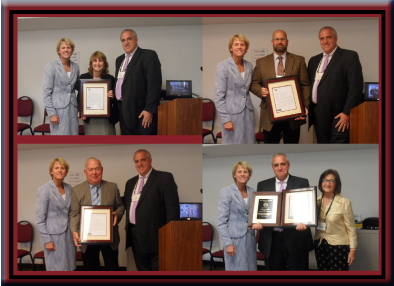 This year, four deserving individuals were selected to receive a CAS Letter of Commendation:Judy Abrams, director of choral music at Leonard Tyl Middle School; Andre Hauser, principal of Waterford High School; Tom Malin, athletic director of East Catholic High School; and, Victoria Reed, principal of Highland School in Wallingford. Unfortunately, Vickie was unable to be in attendance but will receive her award on a future occasion. In honor of the annual meeting, each division was asked to prepare an end-of-the-year report reflecting its highlights for the 2014-2015 year. Those reports are available at the links below. The video clip below offers a small glimpse of the myriad activities and events sponsored by CAS during the 2014-2015 year.